Recent advances in molecular and cell biology have opened new avenues for the understanding of the genetic nature of cancer. Emergence of novel treatment approaches over the last 50 years has resulted in significant improvement in the prognosis of childhood cancer. The long-term survival rate for pediatric cancer patients in the 1960s was approximately 20% and currently is in the range of greater than 75% . 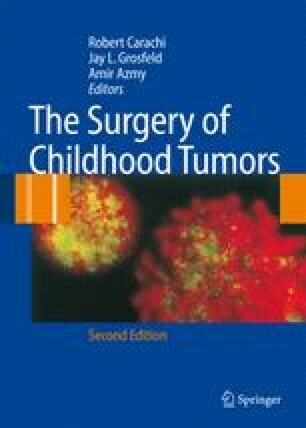 Specifically, the survival in patients with Wilm’s tumor has dramatically increased from 30% to 90% during this period . Despite these impressive trends in survival, little progress has been made in the therapy of many pediatric brain tumors, neuroblastoma, and soft-tissue sarcomas. Furthermore, the focus of mainstream cancer therapies to target the proliferating cells has led to significant side-effects in normal developing tissues, organs, and bone marrow predisposing children to growth delay, cognitive impairments, and secondary malignancies . Clearly, strategies that are both more targeted and effective are mandated in these patients.